Are you looking to compare business energy & to save some money? Then you have come to the right site! Our customers don’t worry about finding the best deals on their business energy. Here at Exchange Utility, we do that for them. Instead, they spend their time focussing on the important things such as the day-to-day running of their actual businesses. Let us compare business energy for you. Simply fill in the form below and we will get back to you with a quotation. Alternatively, you can give our team a call on 0800 9777 000 for assistance. Compare business energy with Exchange Utility. Choosing the best energy and utilities provider can be a daunting task. You need to ensure you’re getting the best deal with the lowest tariffs around whilst saving you money on your bills. 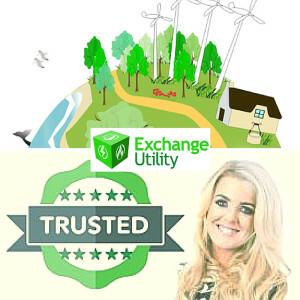 Thankfully, here at Exchange Utility we take the hassle away for you and find the best rates available in the market. This enables you to focus more time and effort on your actual business requirements instead. Our team of experienced energy experts can offer you transparent advice to help you make an informed decision on choosing your next contract. Whether you have a small or large business we can assist you in reducing costly overheads. Exchange Utility constantly work with a range of gas and electricity suppliers to give us the best buying power which you can then utilise. Thanks to our relationship with these UK suppliers, huge savings can be made on your utility bills for your business. Whether you are seeking electric, gas or water bill savings, our energy and comparison service enables you to find the lowest tariffs around. As a trusted utility management business, our business energy and utility management services have helped thousands of customers from a range of different businesses throughout the UK. We believe anyone can receive a Utility Plan that can help cut costs down on business utilities. We provide independent, tailored plans for your business gas, business electricity and business water utility bills. Using the latest technology within the industry we work closely with you to provide a personalised energy and utilities management plan to suit your needs. When you give us a call, you will be through to a utility expert. They have the knowledge, expertise and insight to provide you with the best cost-cutting service to enable you to reduce your business energy consumption. Give us a call for free on 0800 9777 000 and see how we can help. We can also carry out a free, no obligation review of your existing energy contract.